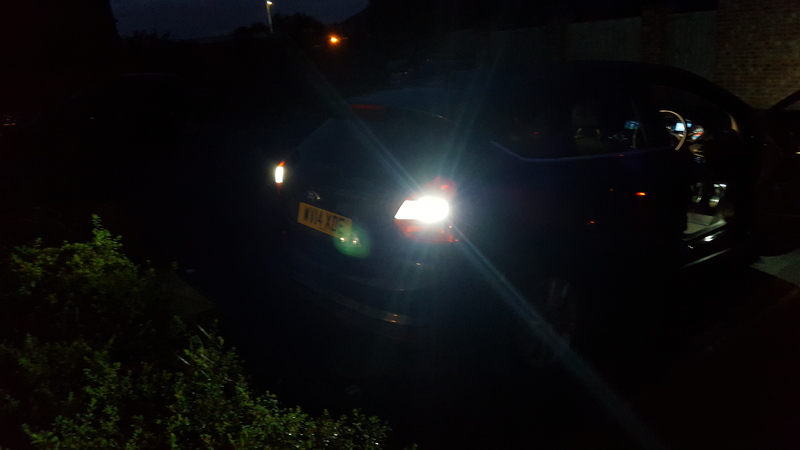 I can't remember if I had the headlights bulbs last MOT but they are Osram hyper blues. Also the side lights are ones from CEUK, the only bulbs I got from them that weren't crap ! Yea everything matches well at the minute although one side of drls has stopped working, I assume because of driving through flood water doh! 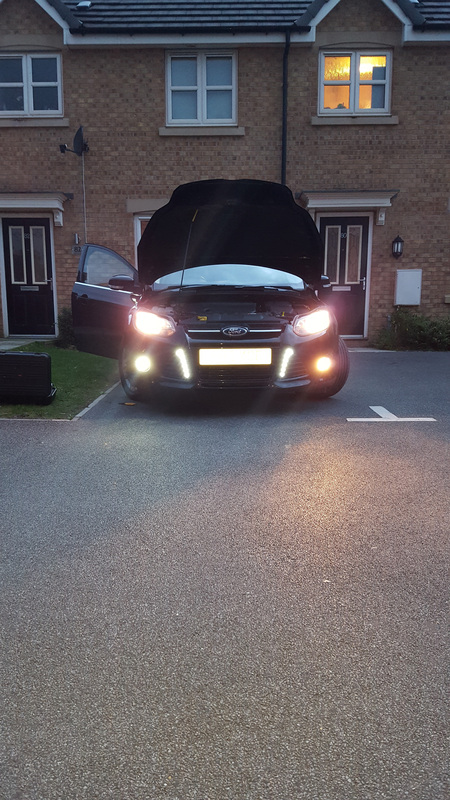 So I've disconnected them and put my yellow fog light bulbs back in. Still waiting on brake and rear fog LEDs to turn up before posting pics and guides for the others. Should be tomorrow now. Got another funky little lighting mod in the pipeline too which I've not seen anyone do, but then I haven't looked too hard. Explanation: Converting all my rear clusters to LED so I lookydoos in my handbook and ordered all the bulbs I thought I needed. All bulbs apart from rear fogs arrive as out of stock with the supplier. Indicators go in nicely. 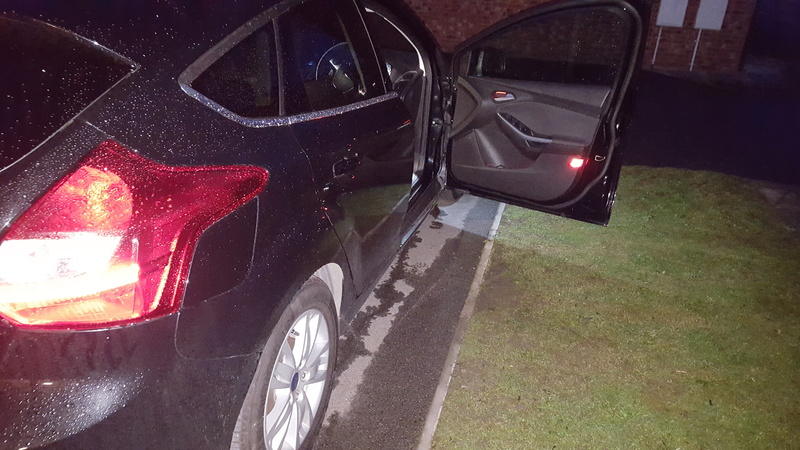 Bodies of the reverse lights are a bit tight but go in. Time to fit brake/tail lights. Handbook says that they are twin filament 380 fittings. I blithely ordered them and find out they DON'T FIT because my Titanium already has LED rear light bars so brake lights are single filament 382's. Lots of swearing later, I get on to my seller and apologise, asking if I can return the bulbs and have them send me 2 pairs of 382's instead. Seller is really good about it (considering I opened the package already) and says they'll hold back the 382's I already ordered until they get my returned bulbs so they can send them together and save me a bit of postage. Great! bulbs arrive today. 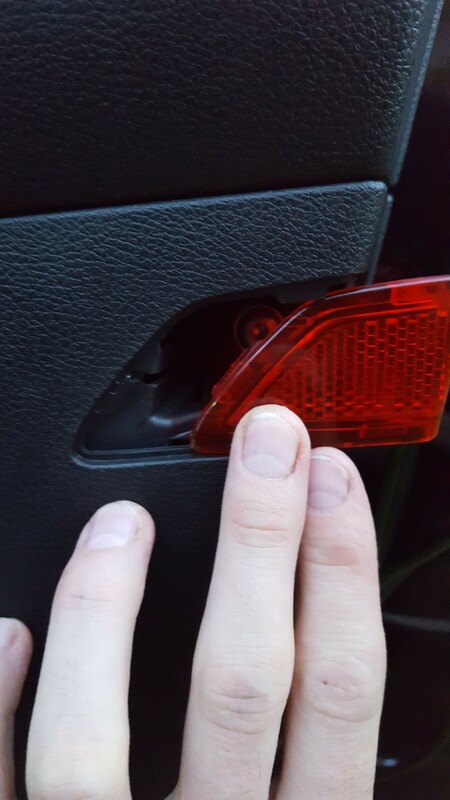 Lovely brake lights fit in and work. I go to fit the rear fogs and find.... that they are NOT 382's but in fact the twin filament 380's I ALREADY SENT BACK!!!!!!!! ARRRRGHHH!!!!! Turns out for Titanium and TiX spec with the rear LED bars, they simply swapped over the Brake and Fog holders somehow (I suppose it makes sense rather than making a separate loom), so brake lights are 382, single filaments and the ffffffff...ogs ARE 380 twin filaments with the offset pins. So now I have to go BACK to my seller with my tail between my legs and ask for the original bulbs I sent back to them. I very nearly hate you now, Ford! And also it's kinda my fault for not assuming that you put incorrect information in the handbook and checking myself! On the plus side, an organ bellows I was restoring at work today was lined on the inside with a copy of The Sheffield and Rotherham Independent, Monday June 8th 1871! An interesting read! I'm going to do a write up for the indicators as the rest are plug and play, but I'll put that in a new, rant-free post! 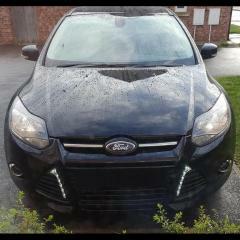 Fitting LED indicators to a Mk3 Focus Hatchback (estate may be the same but I can't guarantee). 4x 581 Amber LED bulbs - This link is for a pair, so you will obviously need 2 lots if you buy from here. 4x Ballast resistors and Scotch Lock connectors - can be bought separately but this is reasonable value. Some electrical tape or small self tapping screws to mount the resistors. So does a Stanley Knife. 2x T27 Torx bolts hold these in, one near the centre grille, one near the rear point of the light over the wing. 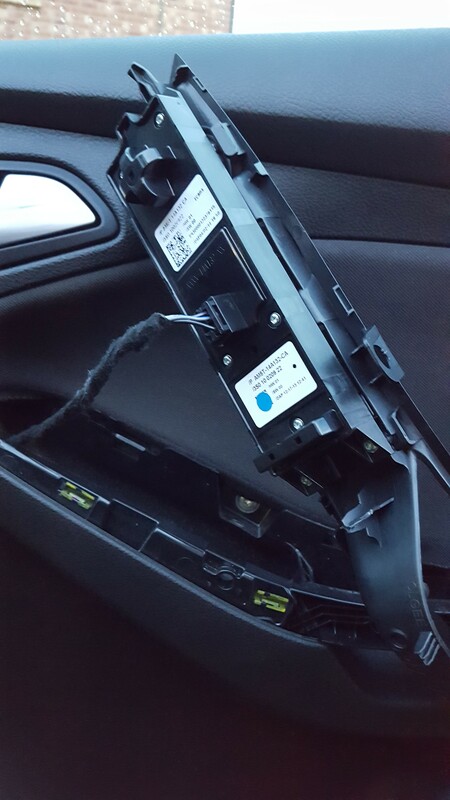 When undone, pull the light towards the front of the car and unclip the loom. Note the orientation of the loom plug, with the release clip at the bottom and scotchlock your resistor with the 2 wires connected to the shown wires. 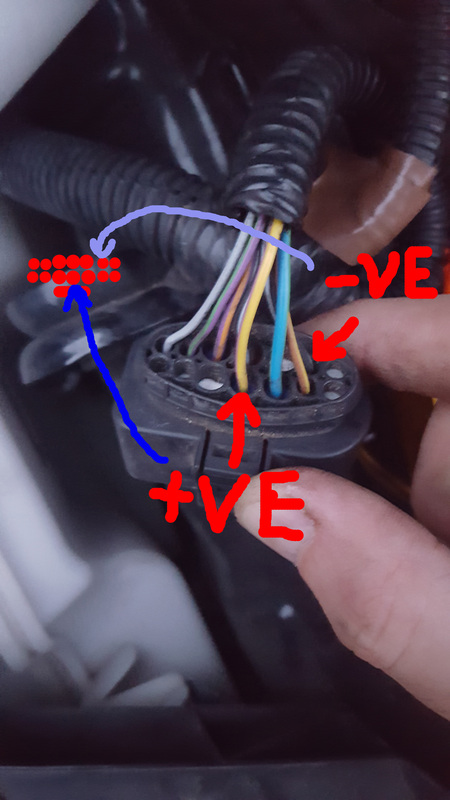 The colours for the indicator wire (Yellow in this case) may be different for driver and passenger side, but the ground wire should be Black/Grey on both sides. IT DOES NOT MATTER which way round your resistor goes. There is plenty of room to fit the scotchlocks close to the loom plug so you are not stripping back extra sheathing. 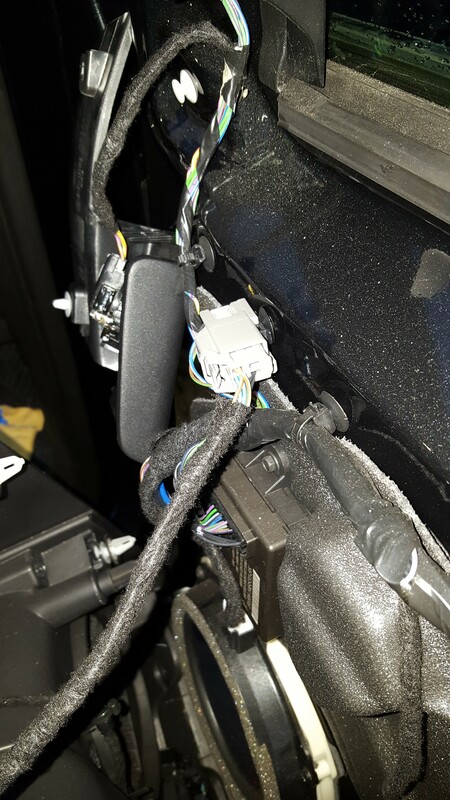 My DRL dim wire is locked onto my passenger side loom as well and there's still room, it just might be a bit fiddly. There are places to screw your resistor to metalwork if you want, but bear in mind that you want to leave enough loose cable on the loom to make it easy to fit and remove the headlights in future if needed. I simply electrical taped my resistors to the loom wires. It doesn't look pretty, but sits below the light so isn't seen. 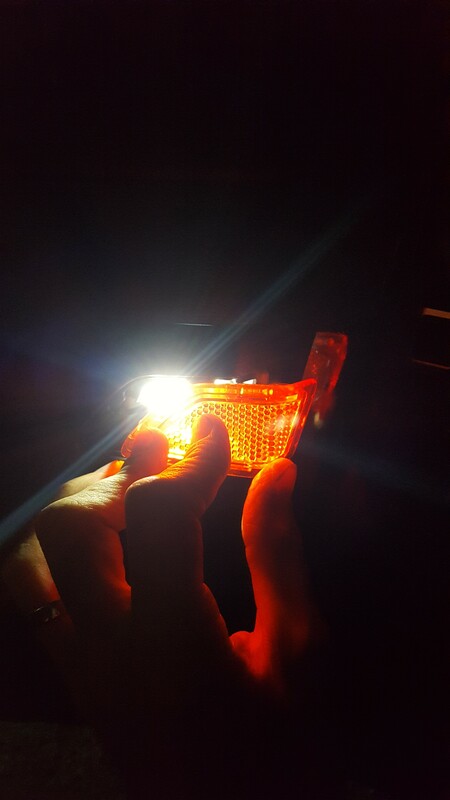 Also, unlike headlight LEDs which dissipate a LOT of heat, remember that these are only on for 50% of the time when working so there is not much heat build up to get rid of. The bulb itself is changed by removing the rubber bung on the bottom of the headlight fitting. They should only fit one way round. 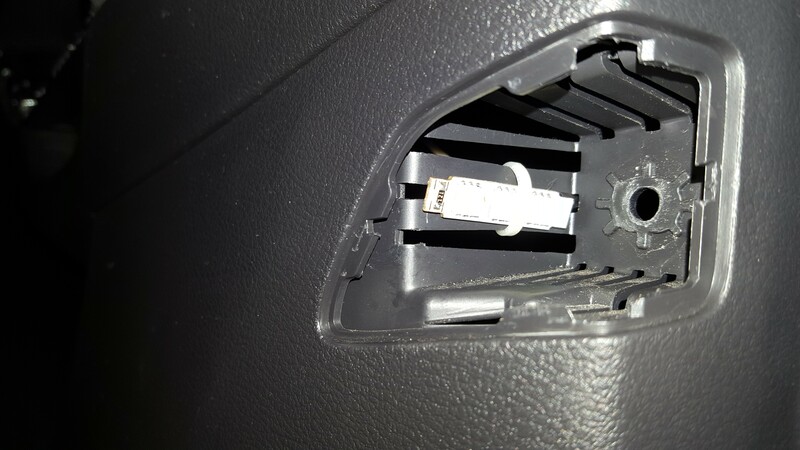 If you are also changing your foglights, skip below before putting these back. 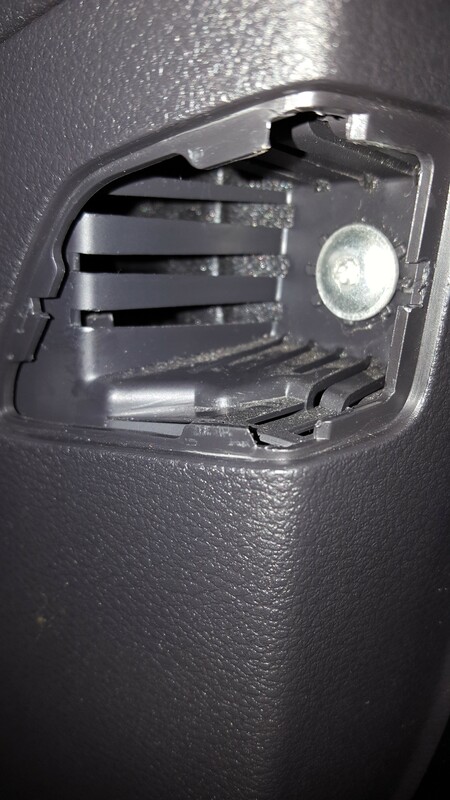 Either side of the boot hatch, behind the light cluster there is a little carpeted panel. Pop that out and behind there will be a large-ish black plastic wingnut. Undo this (use the pliers if needed cause they can be a bit tight) but be careful not to drop it inside the bodywork. There is a second wingnut above this hatch, but under the plastic runner that the parcel shelf sits on. Get a torch. It's there! Once those 2 wingnuts are off, the light will be slightly loose. 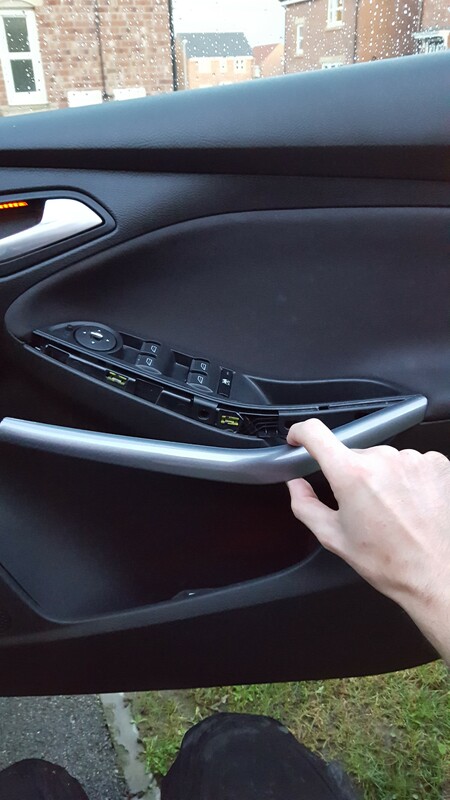 Gently pull it squarely AWAY from the car towards the side that it is on ( ie, pull left for the left hand light). It should pop away. Be careful near the 'point' of the light that points to the front of the car. 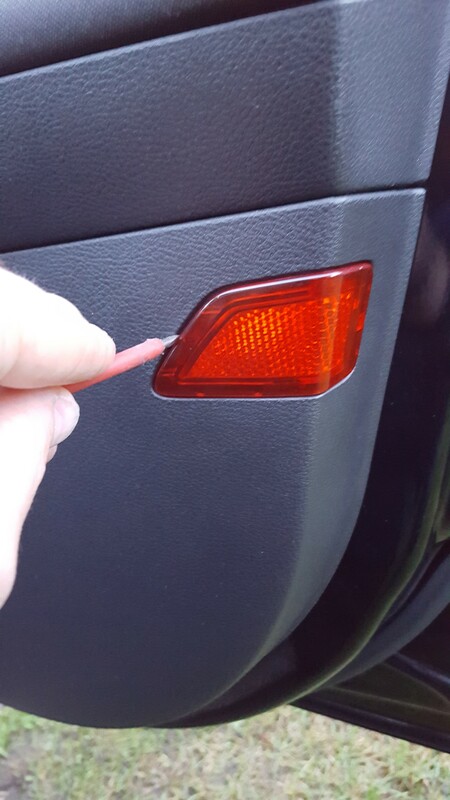 Don't pull the light away just from the chunky part of the light or you risk cracking the point. It shouldn't be too tough though. Again unplug the loom. Again, note the orientation of the loom here, with the clip at the bottom. 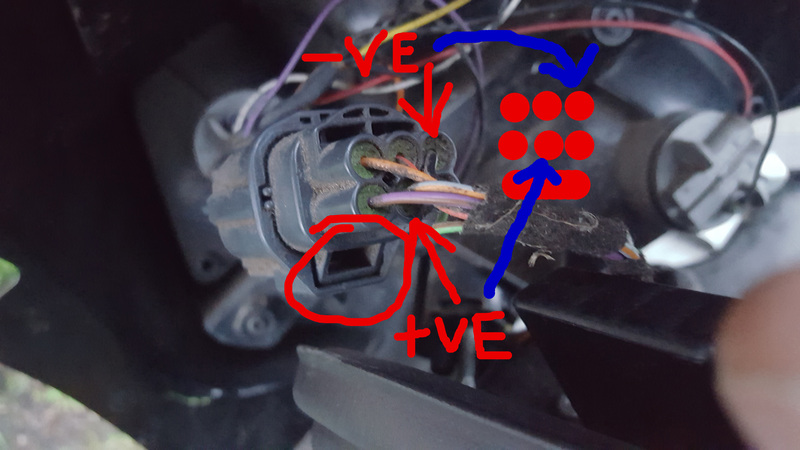 Again, the wire colours for the indicator may differ from driver to passenger side, but the Black/Grey ground wire should be the same. 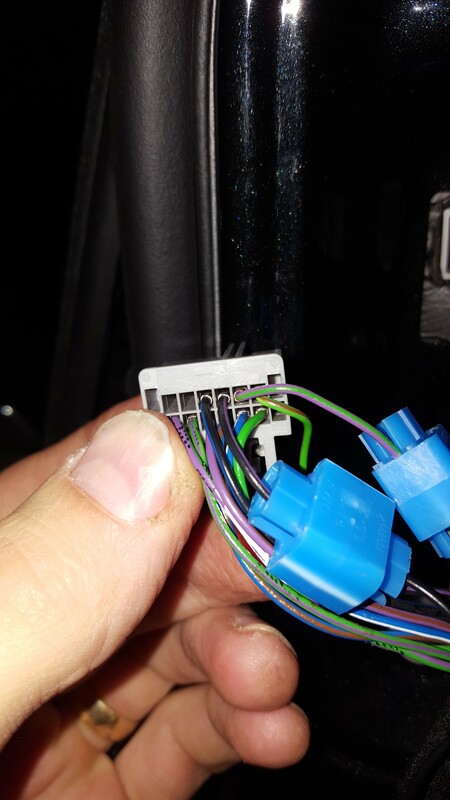 If you want you can check the correct wire by unclipping the loom SOCKET from the light cluster and following the coloured wire from the indicator bulb holder back to the socket. 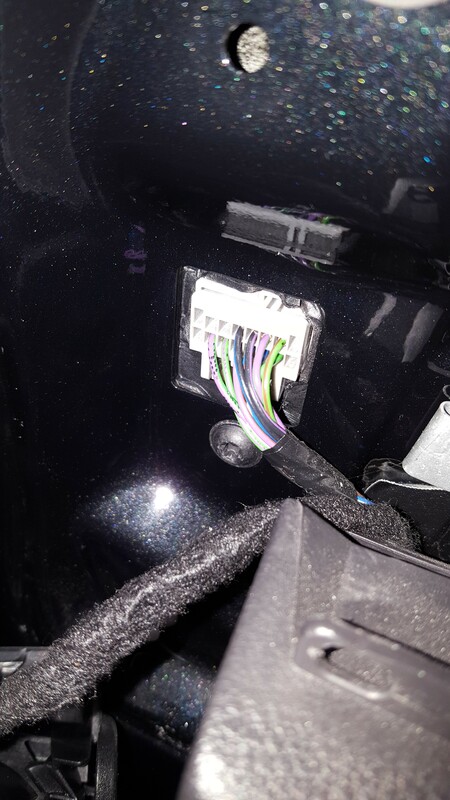 Now, there's not a lot of room for the ballast resistor to go behind the cluster once back on the car, but if you note the colour of your wire (Orange/Green and Orange/Purple in my case) you can find the loom INSIDE the car behind the little carpet panel you took out. Carefully strip back the black tape to reveal the wires and scotchlock here. Again, I simply taped the resistor back onto the loom cable to stop it rattling around. Don't forget to lock onto your Black/Grey ground wire here too. 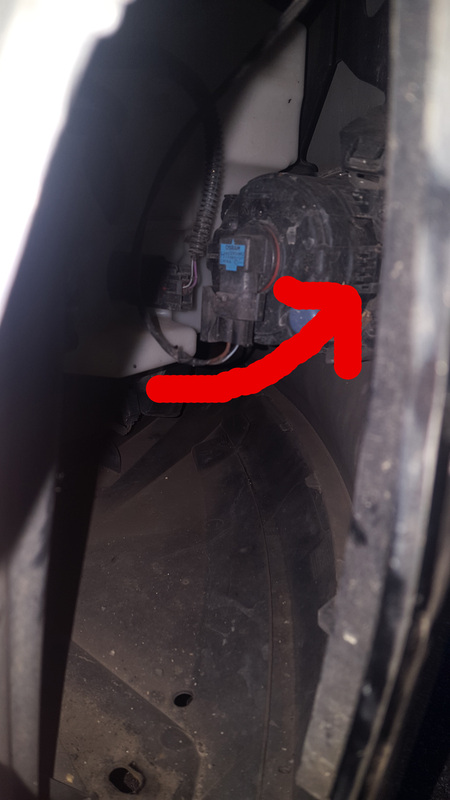 Put the light back in reverse, but it's worth while putting a smear of grease on the foam gaskets that (apparently) seal the holes where the lights attach to the car if you haven't already. Be sure to put a little 'inward' pressure on the cluster when tightening up the wingnuts to make sure it pulls snug to the car. You can use pliers but don't overtighten it and strip the thread. These are Plug and Play, but getting to them is a bar steward. 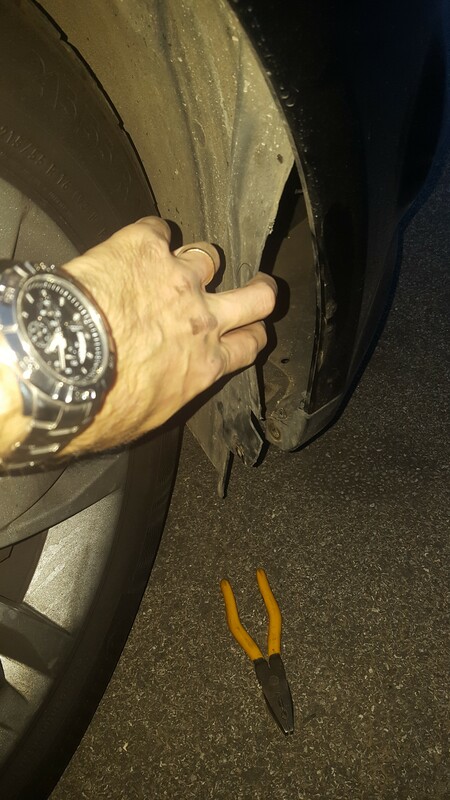 I believe you are supposed to get to them by removing the front clusters and reaching down but a quick inspect looked like there was a lot of other stuff in the way to reach past. Instead I went through the front wheel arches. Turn the front wheels to full lock to allow access to the front of the arch. But please please please do NOT steer while your car is not moving! Let your car roll forward while you steer, even if it is a crawl! There are 3 torx bolts to undo in total. IIRC, they are 2 different sizes, T25 and T27. The first one is at the outer bottom of the wheel arch. The other 2 are under the front of the car. You might need an angle ratchet or a short socket to undo these. Holy crap! Is it that time already?! Prise back the arch liner. With a bit of gentle bending, it will pop out at the bottom and give you room to work. Peekaboo! There's our fog light holder. Turn as shown. I'm pretty sure that was the right way, but obviously if you meet resistance, don't force it! 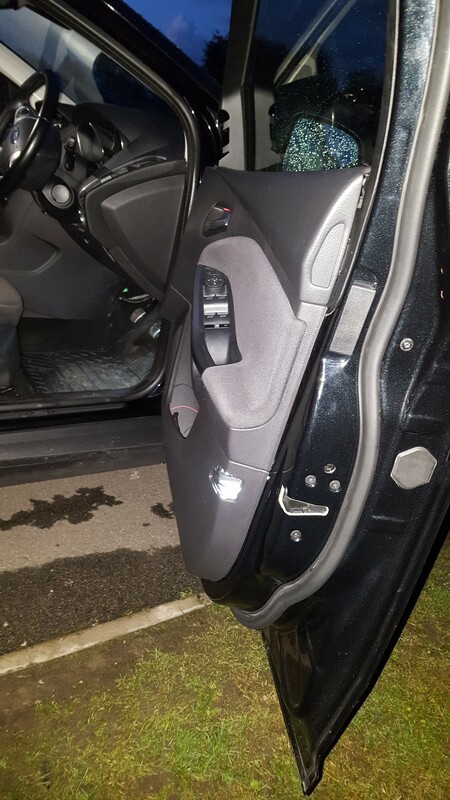 These pictures show the driver's side. The passenger side turns the same way, but is quite a bit harder to get to - I had to do it by feel. Have now discovered that my DAB radio does not like my new led brake lights. 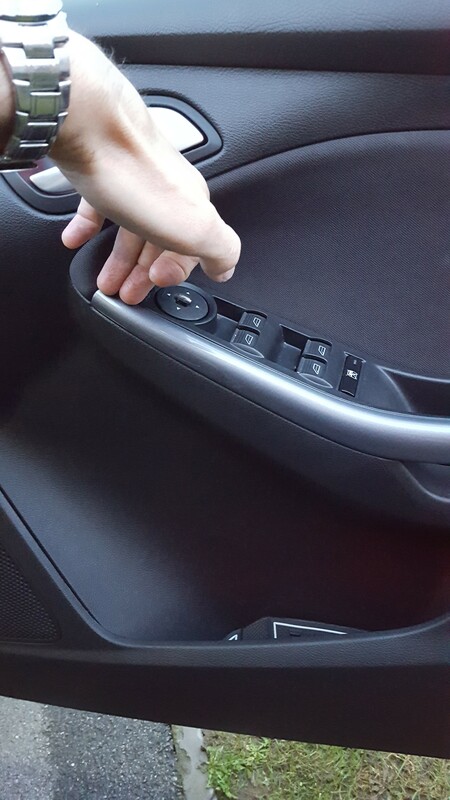 It cuts out (or switches to equivalent FM with that annoying 3 second difference) every time I touch the brake. Interestingly enough not while in reverse or with hazards on. It's down to my cheapy LEDs causing RFI which is what I thought. Odd it doesn't happen with the other LEDs I installed from the same seller. I'll try shielding the looms first as they will act like antennae and report back if that is successful. Ferrite cores will probably work best for this but I'll need to have another look at the looms to see what internal diameter cores will be needed. Looking good with the led upgrade. Did you do the indicators as well ? Yeah that's what the guide was for!! I'll get some photos of the finished item up later on! Lol jeeeez gimi a break!! 'Trafficator' style fuse type bulbs (I had these kicking around, but anything less than 4cm long will work. I've removed the caps at the end and added wires (about 1.5m) wrapped in heatshrink tubing. 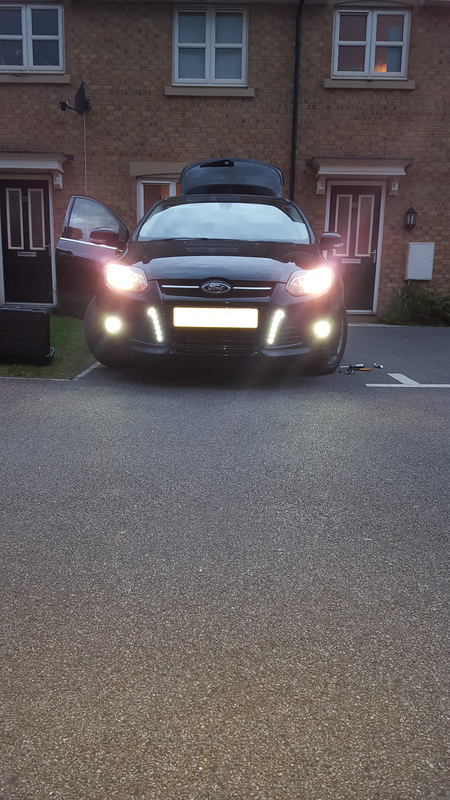 If anyone wants a link to where I got the LEDs, post below and I'll dig it out (eBay). 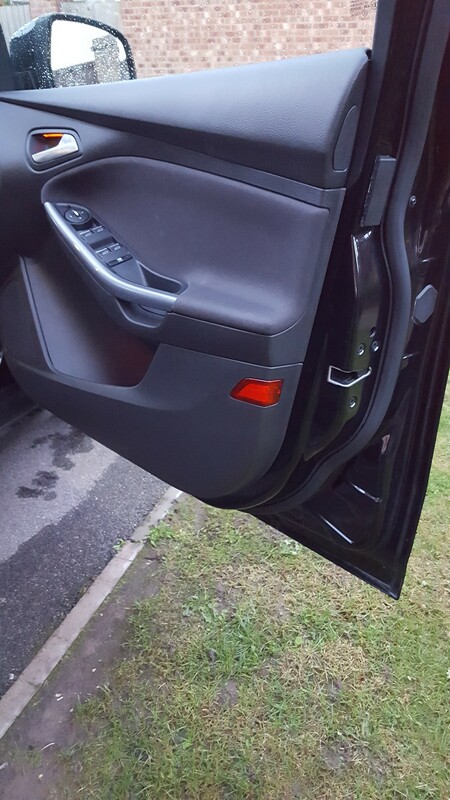 This mod also involved our door reflectors and removal of door cards so here we go! I'm gonna be wiring these into my mirror's puddle lights. 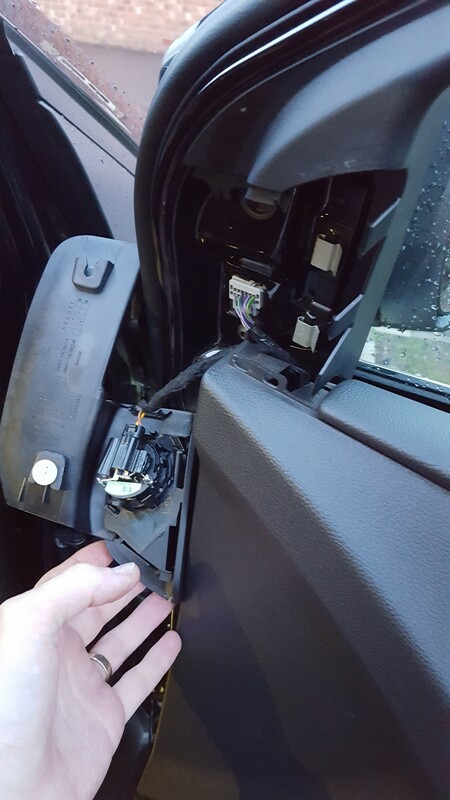 If you don't have them, the wires may still be there if you have heated or electric mirrors. 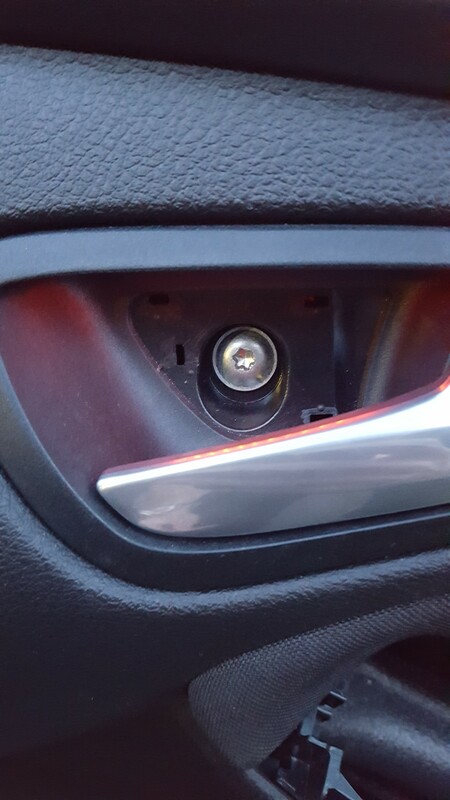 If not, you will have to find another source of 12v which is live when the door opens. Get a spudging tool and gently prise the reflector towards the outer edge of the door. Don't try to pull it forwards - it slides sideways so you'd break the runners. Notice the Torx bolt here. That's a T25. This is also where we're gonna mount our led. Helpfully, there are nice holes here to feed our wire through. Not yet though. 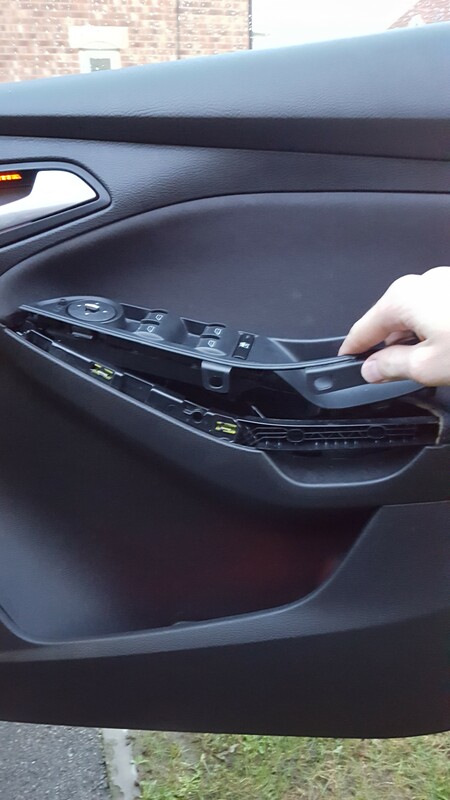 Next, prise the front of the door handle strip off. You might need a spudger again. Work it from front to back as the back hooks in. Next lift out the door controls, back to front this time. 2 More cheeky T25 Torx bolts behind the controls. Don't drop one down into the door card, but as we're taking it off anyway, its not the end of the world if you do. Another T25 is hiding behind this little panel so pop that off. 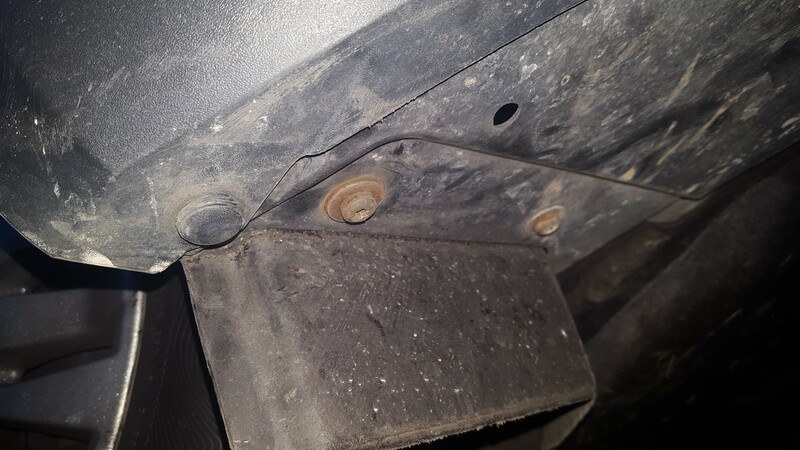 Also, if your door card has been rattling, its likely this bolt has worked a little loose. Still a T25 but Japanned. Keep it seperate to the others. Finally another T25 behind the door handle. Pop the cover off. 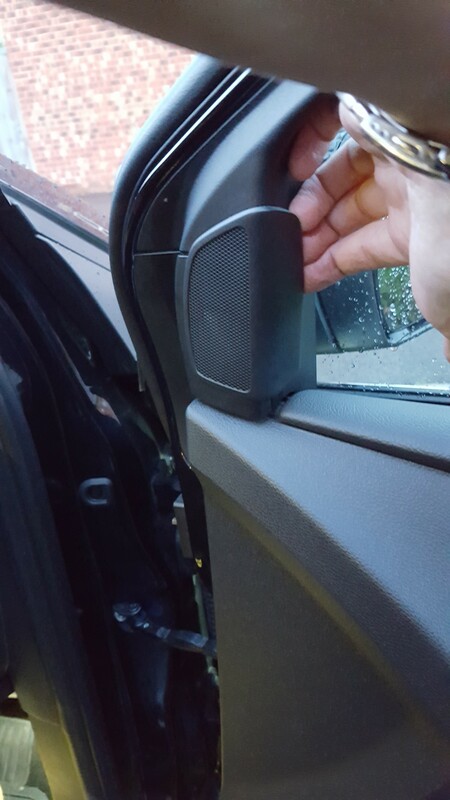 Next pop your tweeter off by pulling from the window side forwards. When it first pops away, lift up. You'll see why. You can see now the bottom attachment (its now upside down) is a keyhole style. This will have to be slid on downwards first when reassembling. It's ok to leave it hanging but don't close the door! This is the loom which goes into the mirror. You'll need to unplug it and remove a little bit of the loom tape near the plug. 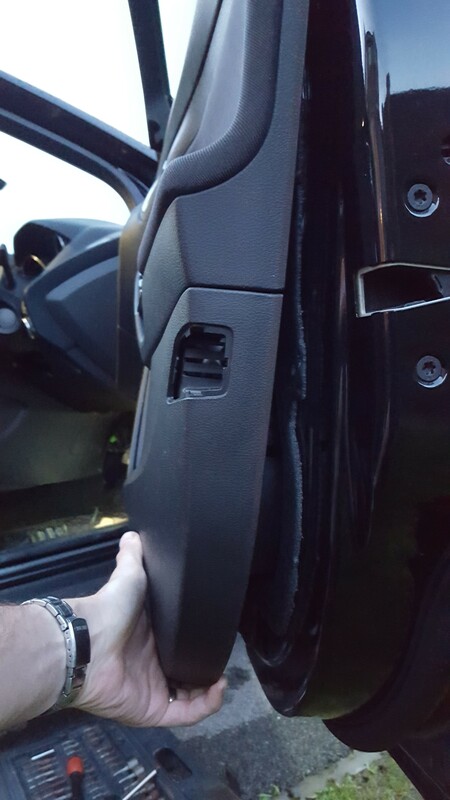 Now pop the door card off, starting at the bottom. If it hasn't been off before, it WILL be stiff but be gentle but firm and it'll come. This is the loom for the window controls. You could take 12v from here as they are illuminated but they'd be on all the time while driving. Unplug it. 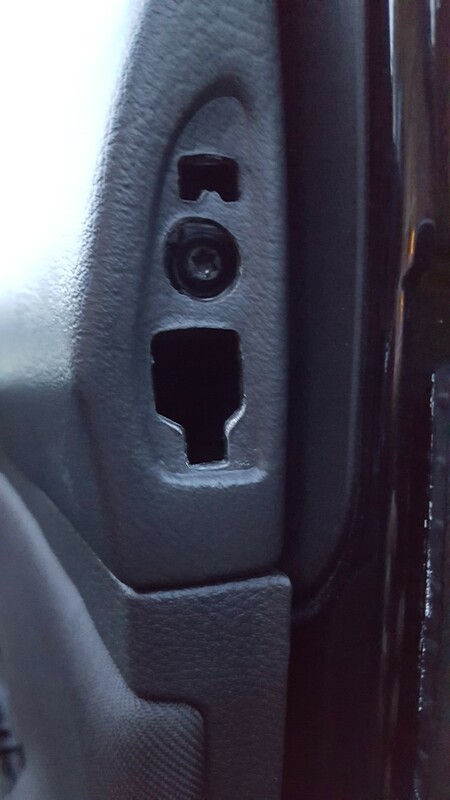 The door card will now only have the handle release cable attaching it to the door. There is enough to rest it on the floor if you rotate it so it points downwards if you see what I mean. 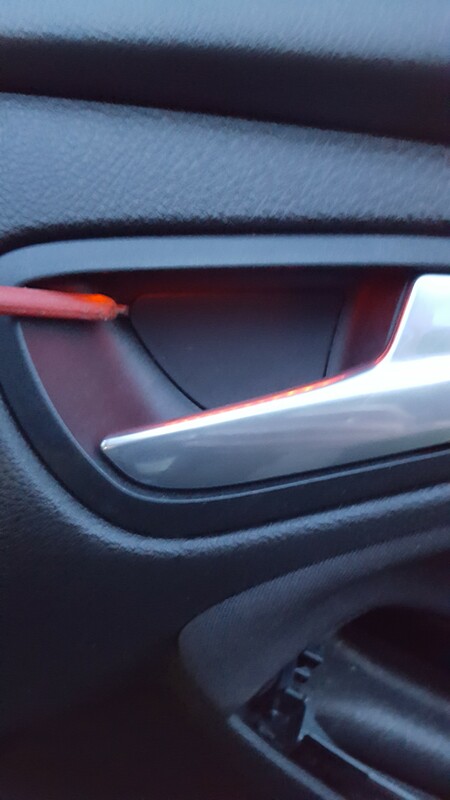 Simple cable tie securing the LED to the door card. I adjusted it after this photo to make sure it was level, flat and central. 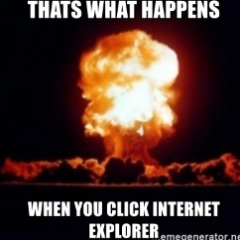 Yes, I'm like that. The wire has been fed through on the right hand side. Hard to see but I've fed the wire up to the mirror loom and taped it on to existing wiring. The loom runs behind the door's soundproofing which is siliconed to the door. I wasn't going to mess with that so I taped it to the foam to ensure it didn't rattle. 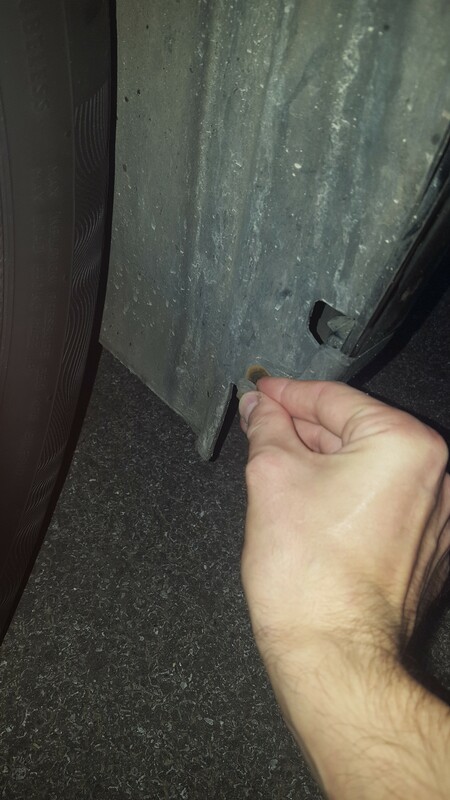 Make sure you leave enough slack so the door card has some room to move when taken off in future. At this point, you can reassemble the door. 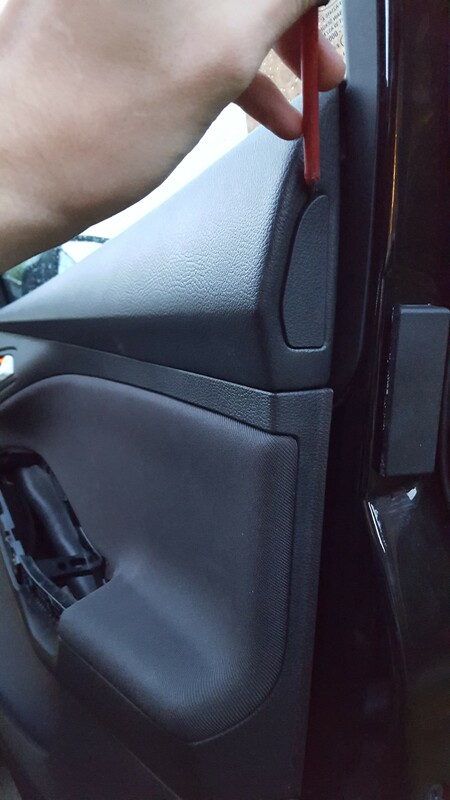 Make sure when clipping the door card back on that the loom for the window controls is poking up through the hole in the door card. 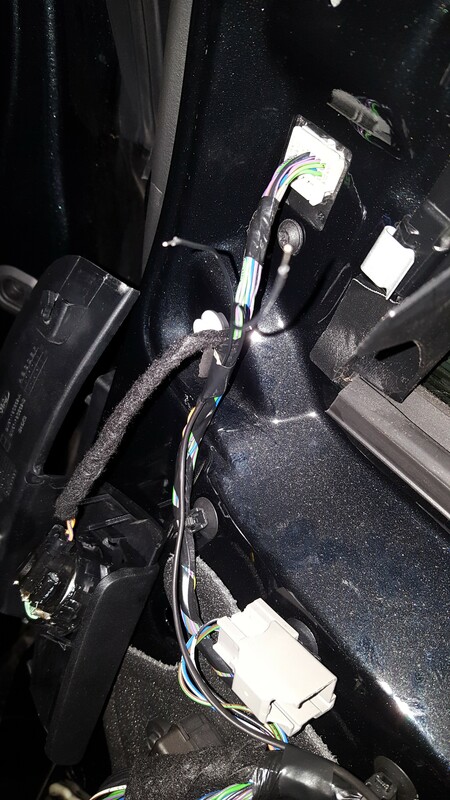 Here are the wires used for puddle lights. They are Black/Grey (negative) and Green/Purple (positive). If you look, they are pins 4 and 5 on the top row of the loom. Good ol' scotch locks! 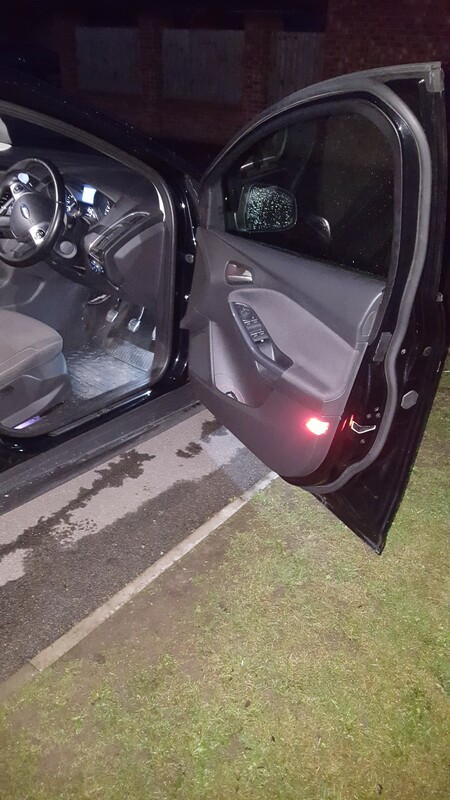 Illuminated door reflectors! Eye Thankyow! Notice the daylight difference between starting this mod and finishing! I had to yok the wires into that mirror loom at random to see which would supply at the right time, but I also had to wait until the puddle lights timed out as I couldn't close the door with it dismantled! The loom was too small to get my multimeter onto it... When I do the passenger side, it should take me about 25-30 mins. Next Post:: LED cluster nightshots. Just as soon as I've made my indicator gif! Same at the back but that's enough GIF making for one evening! The side repeaters in the mirrors are also LED. I found some Canbus safe COB (Circuit on board) LEDs small enough to fit and they were £2! 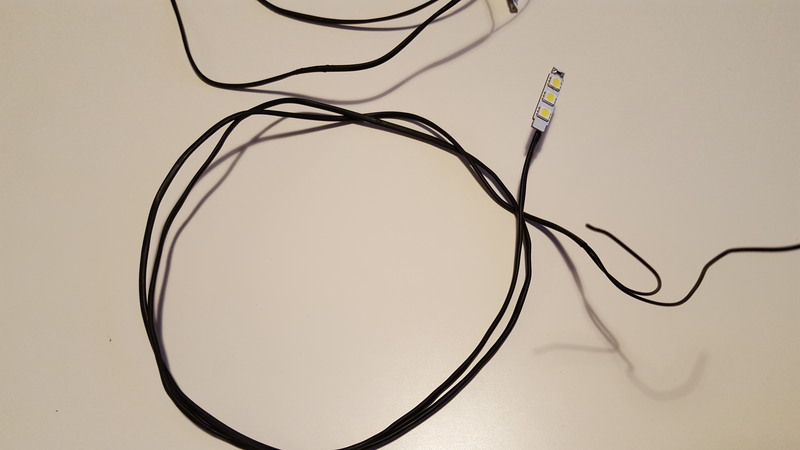 The benefit of COB LEDs over the standard ones where you can see each LED on the board is that it appears to be only one light source, rather than a small cluster of 5 or 6. I couldn't do the brake lights cos I couldn't persuade my wife to come out in her PJ's and put her foot on the brake. I'll find a wedge and do them tomorrow! Man that looks awesome. Love the reflector LEDs. You did a great job there. Thanks! I'll take a daytime shot of the rear cluster to show the lack of eggyness! Indicators or reflectors? Or both?! I mod in all weathers at all times of day. A breath of fresh air you are Phil. Me? I'm a grumpy *****. That....is a mental image I did not need. And I can have my grumpy moments.... ohhh yes indeedy. Read about my brake bulbs a few posts up for example! Bad Uncle Stoney! I've told you before! No Holiday Snaps!!! Well it should be pretty clear by now that I'm into lighty-uppy, flashy wire-y lighty things. So what do folk think about these? Perhaps not as nice but a hell of a lot cheaper than the ones sold by the place that did @yunii's for him? DAB antenna is a part of the antenna base. Thanks Clive. Incidentally I found a thread in the end in which you participated some time ago which did answer this question. Well I have to make sure I can get my DAB to work properly again first! It would explain why the interference is so harsh. If my brake LEDs are emitting RFI, that'll make the loom for it act as an aerial so local shielding won't work. My car is gonna look like a frikkin Christmas tree by the time I'm finished... And it'll be about Christmas before they arrive, coming from China. 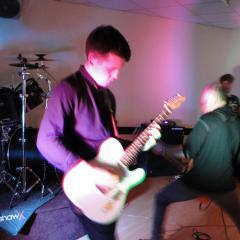 Well the scuff plates are on their way! Should be here by the 11th. Of November... ah well. Something to look forward to! It looks like ferrite beads won't solve my problem either. The second I touch the brakes, my DAB cuts out and that's with a strong station like Radio 2. 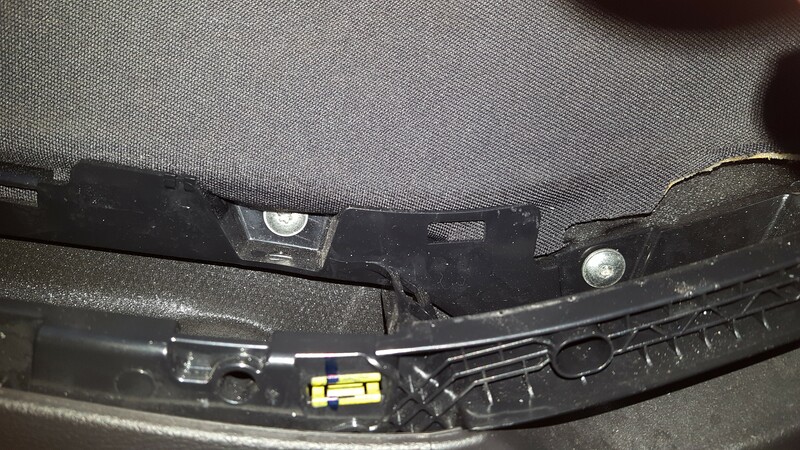 I added one bead per side on the inside of the car, right next to the grommet but with no change. Adding additional beads along the loom helped - there was a half second delay before the station cut out instead of instantly, but that's no real progress and my looms were starting to look like something from a naughty toys shop. Think I'm gonna have to bite the bullet and buy some better quality LEDs that don't interfere. When I do, anyone without DAB who wants some 382 bulbs can have the pair for £7 posted. I'm sure there's a fix with what I already have but my knowledge of EMI is patchier than my current signal. Ferrites should work, but aren't doing. Think I'll try snapping one directly behind the cluster - ie as close to source as possible, so there's less loom to act as an aerial. I don't think foil will work unless I coated the entire loom as I don't think aluminium will act as an inductor. Unless I can put a capacitor across the terminals of the LED? Wow, this entire post is me thinking aloud... Sorry. I think his name is Just in. Feel free to not do anything which plasters that picture all over my build thread, guys! Y'know, where I proudly post what I've done to my car so others can follow if they want and occasionally rebrowse it myself so I can once again bask in the glow of a mod well done. Now it's "cool mod, nice mod, sweet mod, AAARGHHH, PINKLE!!"